Demand for rental properties in London has exceeded all expectations in 2018 and has been strong across the market, steadily growing throughout the year as more applicants than ever look for new homes. In fact, Q3 was the most successful in our history and we concluded a record number of new tenancies across our 16 London branches, a 22.1% increase in transactions over the same period in 2017. These were new lets but we have also seen record numbers of tenancy renewals, generally between 65% and 70% – our Imperial Wharf Fulham branch renewed 66% of tenancies while in North West London, our Beaufort Park Colindale branch saw renewal rates at 64% across the year. Many of our branches now have waiting lists of applicants, with some seeing as many as 22 applicants per property, compared to 16 per property at this time last year. Our Japan desk is going from strength to strength and, after completing its second full year of business, concluded 35% more corporate Japanese lets than during 2017. This success is being echoed by our China desk which has also started to see a noticeable increase in clients, aided partly by the expansion of our London-based team and we have also been receiving increasing numbers of instructions through our Shanghai office. With many global companies including businesses such as Goldman Sachs and Unilever confirming they will be keeping their London headquarters after Brexit, our corporate services teams have never been so busy! An important proviso though is that, generally, rents have remained flat this year, due to high volumes of new stock coming to the market, so while transaction levels have increased dramatically, landlords should remember that the market remains extremely competitive. 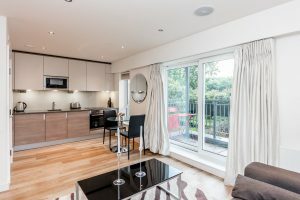 As ever, excellent presentation and high quality furnishings are essential to create the lifestyle that most professional tenants are looking for and to differentiate one brand new, but neutral apartment from the next. Equally, properties should be priced accurately in line with local market rates and landlords should be flexible on rent – most applicants are very knowledgeable about the rental market and will hold out for a good deal, moving on to other properties if landlords are unwilling to negotiate. The priority should be to minimise void periods in order to maximise rental yields, rather than hold out for rent increases which make your property uncompetitive. Having said this, in some areas rents are starting to inch up a little and industry commentators have indicated that rents may climb by up to 15% over the next five years, an estimate we would agree with. 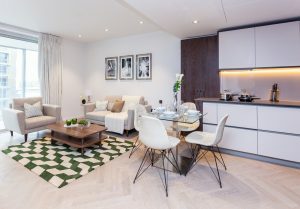 Of course, new developments remain at the top of most applicants’ wish lists and 2019 will see further launches including the much anticipated White City Living in White City, the vibrant new neighbourhood transforming this part of West London. We are already talking to landlords who have bought off-plan here and expect to have good stocks when the first phase launches. With the 2019 London rental market set to be strong but perhaps hard to predict, we would urge landlords to talk to their local letting agent to ensure their rents are pitched accurately in line with current market conditions. Our five City and east London branches have had a very good year, with preliminary figures showing that business has been up significantly on 2017, in particular we had an exceptionally strong Q3, with demand remaining strong even into November which is usually quieter. With a number of developments or new phases launching during the year, we have had good stocks to meet demand and properties have been letting quickly. High end, luxury apartments at buildings such as 190 The Strand and One Blackfriars, handled by our City branch, have seen high demand from senior professionals with good budgets while in Canary Wharf, London City Island and Royal Wharf have proved to be extremely popular with younger professionals, offering excellent value for money for those on a more limited budget. 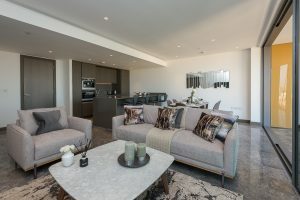 Kidbrooke Village continue to grow while at Surrey Quays, apartments at Marine Wharf East and London Square (Canada Water) are seeing exceptional demand too, with some properties letting within just a day or two. Tenancy renewal rates have also been high across our five branches and we have seen increasing numbers of applicants committing to longer tenancies, two or even three years, than for some time, perhaps indicating greater confidence in the economy and their own job prospects. Clearly this is good news for landlords as, with rents fairly flat over the last 18 months, increasingly the focus is on retaining tenants and minimising voids to maintain healthy rental yields. applicants moving here have been relocating from Japan and the Middle East. Rents have remained stable though and with a good supply of properties available to tenants, the market is competitive and there is little scope for landlords to increase rents at the moment, instead they should price their property competitively to minimise voids. 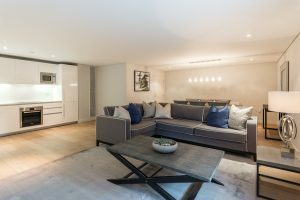 The end of 2018 is seeing the launch of Quartz House (formerly known as Elizabeth House), the final phase to launch at Dickens Yard, and enquiries have been coming in steadily since properties started completing in November. At Kew Bridge in Brentford, we have concluded our second year of trading from our branch situated on-site here and 2018 saw a massive increase in the number of new instructions. This led to a steady upturn in business and a very successful year overall, particularly in the second half of 2018, with the branch establishing itself as the main letting agent in the area. 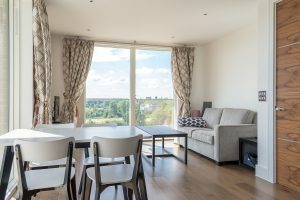 Fulham Reach in Hammersmith also saw demand pick up dramatically throughout the year, culminating in shortages of stock and waiting lists of applicants for this and other key schemes gaining exposure to a whole new raft of renters. New phases launched at Sovereign Court – Beaulieu House and Montpellier House – have waiting lists of applicants. With a shortage of supply at certain times, rents are increasing a little locally. In central London our Knightsbridge, Kensington and Hyde Park branches have had a positive year, seeing good rental demand which was particularly strong in Q3. These areas have a lot of traditional buy-to-let stock and all three branches had a phenomenally busy autumn and at one point had let almost everything on their books. 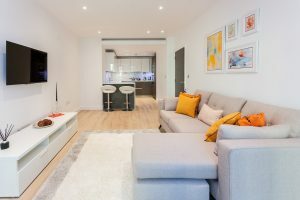 Competition in the market has been increasing as new schemes pop up and homes that are accurately priced with contemporary interiors are quick to let. Applicant numbers have been increasing dramatically and many apartments are letting after a single viewing. Increasingly, we have found applicants making offers quickly to avoid someone else getting in first. Professionals, entrepreneurs, graduates and students continue to relocate to central London – from the US, Asia, in fact most parts of the world. Landlords recognise though that the market is still competitive, despite the high demand, so rents must be priced in line with local market conditions. There was a surge in rental demand around Hyde Park, with our branch concluding a record-breaking number of transactions in Q3, and our preliminary figures for 2018 overall showing business at the branch up around 30% over 2017. Meanwhile our Knightsbridge branch has been seeing the positive impact of developments launching around Victoria, together with new cafes and restaurants moving into the area, attracting a wave of younger applicants, particularly young professionals and international students. We have also seen an increase in the number of landlords refurbishing their properties this year – there has been a 16% increase this year compared to 2017, particularly in prime central London. This is a response to the fierce competition from new build developments which have raised the bar in terms of presentation and quality. Landlords who haven’t kept their properties up to date will lose out to lower rents or even void periods. Demand for properties at Nine Elms has surged ahead this year, with properties letting extremely quickly. There is no doubt that apartments to rent at Battersea Power Station have raised the area’s profile. Our local branch has been signing up new tenants months before the previous tenant has vacated. Demand for one bed apartments is so high that after one recent block viewing we immediately received three offers. The development is now attracting professionals working in finance, tech, government, legal and engineering sectors. A number of shops, restaurants, bars and coffee shops have opened this year, and these have also helped to attract new tenants. As a result, rents have been pushing up. For example, a one bed apartment at Battersea Power Station would rent for £400-£475 per week in 2017, in 2018 we have been renting one beds for £475-£550 per week and in 2019 we expect this size flat to achieve £500-£600 per week. 2 Bed apartments have held their rentals and are likely to see rental increases once stock begins to deplete. At Beaufort Park in Colindale, our on-site branch has had an exceptional year and in terms of the number of tenancies agreed, looks set to match 2016, which had been our most successful year to date, since opening in 2009. 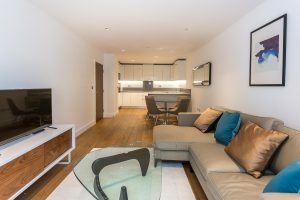 The year started quite quietly but rental demand soon picked up dramatically and, following the launch of two new buildings, Argent House and Capri House, our stocks increased allowing us to meet the continuing growth in demand. Having said this, there have been several times during the year when we have completely run out of stock – in fact in November we again let all our stocks of one bed apartments and had to organise a waiting list for prospective tenants. November and December usually see a slight dip in demand but this year, enquiries have continued to come in steadily, from tenants and from relocation agents searching on behalf of clients, many from China. Our Hampstead and Highgate branches have seen good demand in 2018, with enquiries really picking up from the summer onwards and a more buoyant market than we could have predicted at the beginning of the year. With a very strong last quarter, business brisk for all types and sizes of properties and good stocks to meet demand, overall in 2018 there has been a marked increase in the number of transactions concluded compared to 2017. One and two bed properties remain most popular but there is still demand for larger homes. Rents had softened over the last couple of years, after cuts to corporate budgets, but appear to be stabilising now. As ever, immaculately presented properties always let more quickly and properties with parking usually achieve a premium. 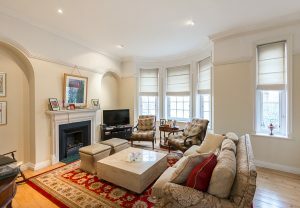 As the year closes, we have lots of applicants looking for new homes still, these are working professionals, young couples and families, quite a lot who already live and work in London and as long as we have good stocks of property to meet demand, we expect this renewed confidence in the rental market to continue well into 2019.